This is Doogee’s youth series or so it is called which is where the Y in the name comes from. The Doogee Y7 features specs for the younger generation like an impressive camera, colourful display and stylish design. All.of these put together and the affordable price tag makes it more ideal for the target audience. The smartphone belongs to the mid-range category with the specs featured here and with a budget price that gives it a value for money stance. 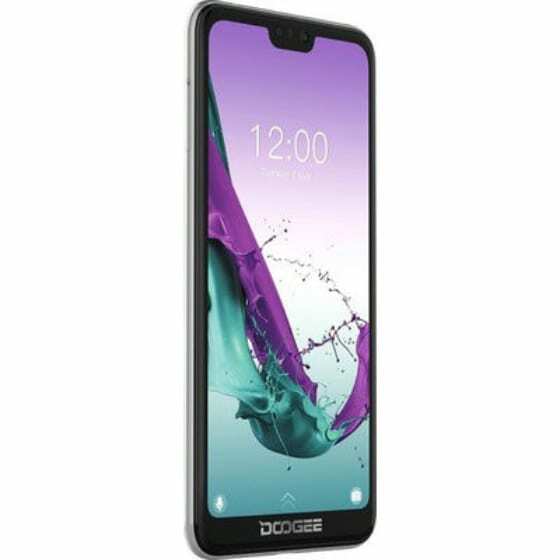 Doogee endeavours to instill some premium look in a budget manner on the smartphone, in a way that leaves it premium from afar and budget up close. You’ve got the notch on the top of the smartphone, and quite a chunk of bezel at the bottom tagged with ‘Doogee’. Over to the back, you’ve got a rather common dual vertical sensor module with a flash below it and a fingerprint scanner to the center. Available colour variants include aurora blue, phantom purple and obsidian black. The screen lights up to reveal some decent colour reproduction and good viewing angle. Crowned with a notch at the top, the smartphone screen maintains a rather average size. Everything seems good enough though, with a 1080 x 2280 pixels resolution on point for visuals. 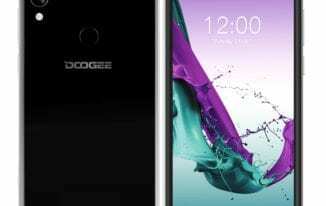 Taking into note just how long the Doogee Y7 will last, it is safe to say that the smartphone will stay on going about the day’s work. This is done with the 3, 400mAh battery supplying power but that capacity is not much for heavy usage. At the end of the day, you’ll be using a MicroUSB cord to charge your phone which is a bit outdated for a trendy ‘Youth’ smartphone. As a smartphone meant for the youth, the Doogee Y7 does come with a good set of cameras as much as the price tag will allow. On the rear side is a 16MP main camera combined with a 13MP sensor for a better performance. Besides photography, the 16MP front camera is also used for the face unlock feature on the smartphone. Entering into the details of the innards on the smartphone, you would find a Cortex-A55 core Spreadtrum chipset. That is the octa-core SC9863A processor and a 3GB internal memory easing multi-tasking but not that much of a ease anyway looking at how 4GB RAM phones are now common these days. You’ve got 32GB of storage space on the smartphone and can take up to a 64GB memory card. It has Android 8.1 Oreo installed on it as well as the OEM’s UI. The smartphone goes for about 58, 000 Naira depending on the deal and your location.